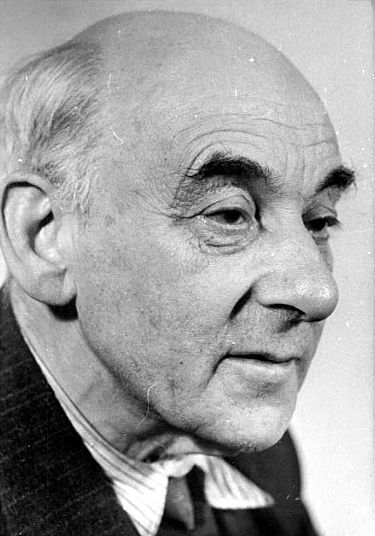 Victor Klemperer was a professor of French literature, specializing in the Enlightenment, employed at the Technical University of Dresden at the time the Nazis came to power in 1933. At that point in his career he already had a few scholarly works in print and was planning another, a project on the 18th century he continued researching and writing until circumstances forced him to postpone that work. But he did continue the personal diary he had begun many years earlier, now with the purpose of documenting not the big picture of Nazism in Germany (he would leave that to historians) but the experience of it by a single individual, along with other ordinary personal matters he had been recording for decades. The fact that the Nazis considered him a Jew despite his conversion to Protestantism in his youth put him in the bulls-eye of their abuse. But he was married to an “Aryan,” and on that account some of the harshest measures heaped on non-Aryans were sometimes blunted or postponed, including shipment to Theresienstadt, the concentration camp in Czechoslovakia where most of Dresden’s Jews were to meet their deaths. He had to wear the yellow star, avoid contact with Aryans, not use public transportation, subsist on starvation rations, and would in fact have been sent off to his death within a few days had not British Lancaster bombers rained fire on the population of Dresden, Aryan and non-Aryan alike, in the spring of 1945, allowing Victor and his wife Eva to escape the city and leave behind his Jewish identity by claiming his identification papers were destroyed in the fire. There are plenty of books about the Nazi era. What’s so special about the Klemperer diaries? Why would I recommend these two volumes to anyone interested in learning what the Hitler regime was like over any work by a professional historian, however worthy that study may be? My answer has to do with the special character of the diaries, their combination of documentation of a horror growing worse with each passing day (everyone Klemperer talks to believes such an absurd regime will surely fall within months) and the details of a middle-aged upper-middle-class couple’s life, including the stresses and strains on their marriage, not all of them the result of Nazi oppression. One quickly comes to feel one is living with the Klemperers, if only as a fly on the wall, as they struggle to complete the construction of their “dream house” in a suburb just outside Dresden — Eva’s obsession despite their having to subsist on a modest pension after her husband losses his university post. The daily visits to the house site as they scrape together the money to lay a foundation, then construct modest living quarters and, of course, a garden, seem like an exercise in futility, given what the reader knows is going to happen a few years later. You want to shout at them, “Get out! Get out!” But Eva is determined to have her house, partly, one suspects, because she had given up her own career as a musicologist and performer in favor of her husband’s career. Besides, Hitler really did seem too extreme, too downright surreal, to last much longer (odd, that in America he was seen as a “moderate” who would keep the Bolshevik menace in check). And, besides, as the author of these diaries keeps asserting, he, Victor Klemperer, is a German, a real German, not like the aberrations who had taken over his country, though his faith in that identity is sorely tried over the next twelve years. The course of the Klemperer marriage, however inadvertent, is continuous and detailed. In the ’30s, Victor is careful to not complain about Eva’s morning fits or constant dental emergencies or her obsession with the house, but the reader wonders what is going on in the woman’s mind, when (with the hindsight of history) the dreadful future seems so clearly written on the wall. But as the years pass and the noose tightens economically and in every other way around the necks of Jews, Eva meets each new deprivation with remarkable personal resources, not just sharing all of her husband’s social and economic disabilities but assisting neighbors in need in the “Jews houses” where the Klemperers are finally forced to live, right down to scrubbing their floors. She also risks her freedom (as an Aryan she could have secured her own status simply by divorcing him), if not her life, by smuggling the manuscript pages of his diary to an Aryan safe house. Using her Aryan ration card she spends hours each day scrounging for food (mostly potatoes, sometimes rotten). And, yet, the Klemperers maintain a remarkably active social life, mostly with others marked as Jews but also with a handful of Aryans. In the end, the diaries reveal the slow maturing of two human beings who are already well into middle age at the point the diaries open. Victor evolves from a slightly ivory-towerish academic into a more fully rounded person capable of both empathy and a sense of complexity for the people, all the people, he lives among; Eva, from a house-hungry spouse with possibly a grievance about the loss of her own chance at a career into a courageous and devoted spouse and neighbor. Their marriage and love for one another grows stronger with each new stress placed upon them. What seems in the early pages of the diaries a marriage held together perhaps largely by routine and convenience, by its mid-point has become a thing of unshakable devotion and deep affection. The diaries provide documentation of many different aspects of German society under the Third Reich, despite the restriction of their being written from one man’s point of view. Among these is the obvious fact that many Germans had no use for Hitler, were sympathetic to those the Nazis designated as Jews or otherwise non-Aryan and, as might be expected in a situation where getting the wherewithal just to survive became more and more difficult, were largely ignorant of the strictures Jews were living under. Why else would they risk their own freedom and lives by befriending and assisting individual Jews? There is a naïveté about some of their expressions of support — a stranger crossing the street to shake the hand of someone wearing a yellow star (much to the chagrin of the person wearing it, knowing how dangerous such an act was, primarily for the star-wearer); a shopkeeper slipping extra food into the bag of someone wearing the star and offering a whispered word of encouragement to hang on, it won’t be long now till the war is over. There seem, in fact, to be two distinct kinds of (Aryan) Germans in these diaries: Nazi thugs who descend on Jews’ apartments, beat up the old women and men and steal the butter off the table before trashing the place; and “ordinary” Germans, even officials like local police who, when they had to visit the Jews Houses, doffed their hats, shook hands, apologized for the intrusion and even offered words of reassurance. One wonders how this could be the same country, never mind the same city. These “good” Germans give Victor hope, though by the end he believes the entire nation will have to be reeducated in the values he believes to have been essential to German culture dating back to the Enlightenment (he blames Romanticism for Nazism). He, happily, lives to see that day and even to reclaim his former professorship at the Technical University of Dresden, which lay then in the Soviet zone and becomes part of East Germany. One wonders why these diaries are not more widely read as firsthand witness for that horrific period of German history. Is it because life as Klemperer records it is too complex for our sound-bite culture (some of the older men in the Jews House cheer for the Wehrmacht — they had fought against the Brits and French in the first world war and can’t bring themselves to change sides). Is it because he insists early on that Zionism and Nazism are ideologically the same thing: blood = land? I keep expecting him to change his mind about Zionism after the slaughter of Jews goes into high gear in 1942-43, but he sticks to his guns. He fully expects to be one of the slaughtered, watches as his neighbors are taken away in twos and threes. He loses his faith in the Germany he believed in before 1933, but he never loses faith in the principles he believes that culture exemplified at its best. It’s impossible to summarize a work as varied and rich as these diaries, never mind give a sense for the experience of living through those years vicariously with the Klemperers. The diaries end in 1945 with a return to their suburban home after living for several weeks as refugees in Bavaria. But that return is, of course, just another beginning. The volume of the diary that takes up where these two leave off extends as far as 1959 and was published in Britain, but not in the US. Klemperer died the following year, 1960, of a heart attack.